Trulshik Rinpoche Kunzang Pawo Dorje (Tib. ལས་རེ་འཁྲུལ་ཞིག་དཔའ་བོ་རྡོ་རྗེ་, Wyl. las re 'khrul zhig dpa' bo rdo rje) (1897-1962) — the emanation of Melong Dorje and Lhodrak Drupchen. He was from Minyak. He was one of the main students of Jamyang Khyentse Chökyi Lodrö and later of Dudjom Rinpoche. 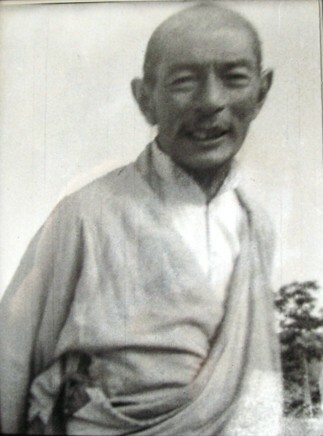 He spent a long time in Kongpo and then stayed in Sikkim, where he passed away in 1960. His spiritual consort, Khandro Pema Dechen, went on to become the consort of Dodrupchen Rinpoche. He was the teacher of Crown Prince of Sikkim, Palden Thondup Namgyal who later became King. His other students included Dhongthog Rinpoche and Tulku Thondup. Jamyang Khyentse Chökyi Lodrö composed several works at his request, especially on the practice of Senge Dongma. This page was last edited on 18 February 2018, at 16:01.